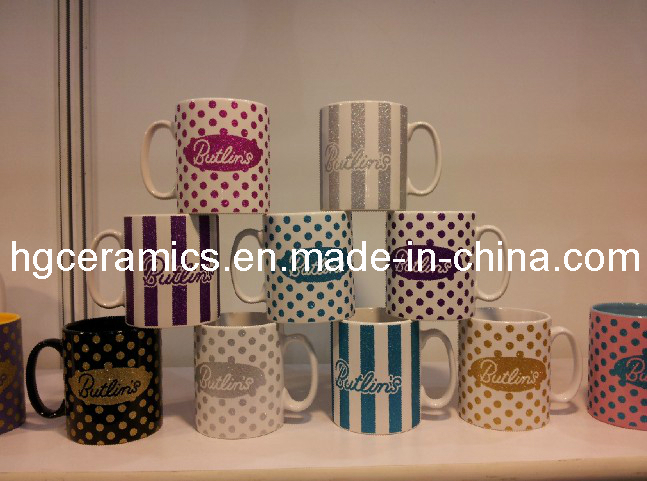 Our products include CupsΜgs, Beer Steins and accessories available in Ceramic, Fine Porcelain and Fine Bone China. We also have Ceramic Money banks, Glass Beer Steins and Mugs, Porcelain ornaments, Ceramic coasters. If you have a unique idea, let us know. We'll gladly provide our OEM services. From Nov. 15, 2012, EU Commission imposed this ADD on Ceramic Tableware and Kitchenware. As one of the Responding parties. Our factory got an average durty rate, 17.9%. So for all EU customers, we can assure you a 17.9% rate on our ceramic items. 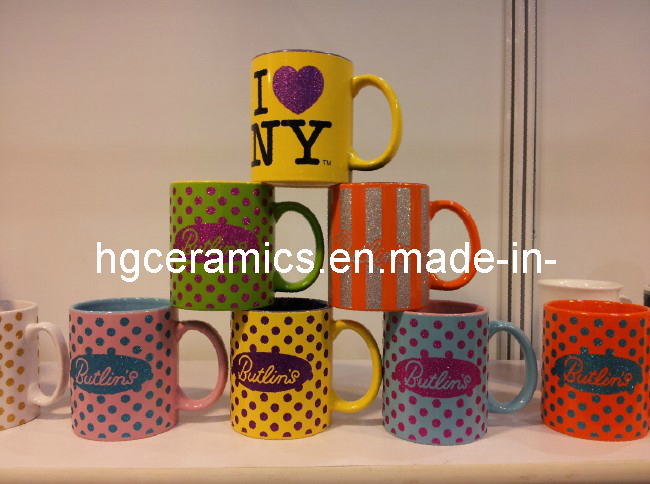 Contact us if you need more details on 11oz Ceramic Mug. We are ready to answer your questions on packaging, logistics, certification or any other aspects about Glitter Logo、11oz Promotional Mug. If these products fail to match your need, please contact us and we would like to provide relevant information.